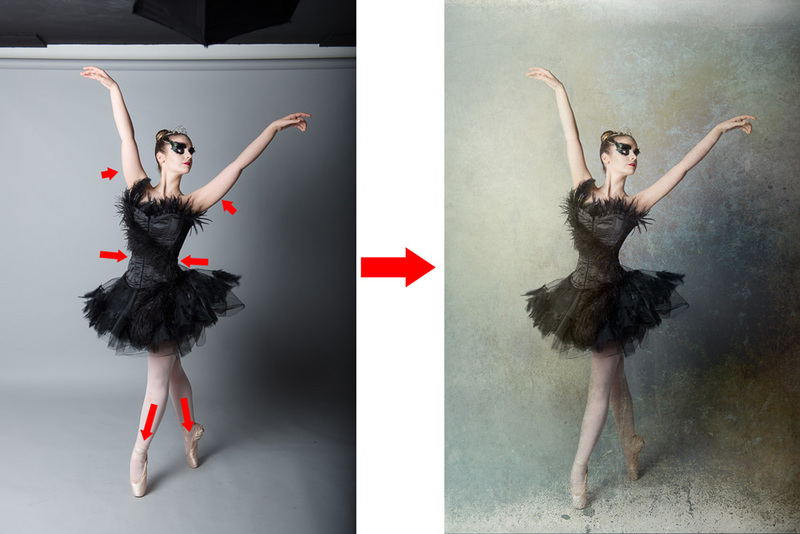 A lot of people seem to assume the photographer’s job is done once the shutter button is hit… I wish, in fact more time is spent on the image processing than in the studio/venue, here’s an example showing some of the work which can go into tidying up a shot. 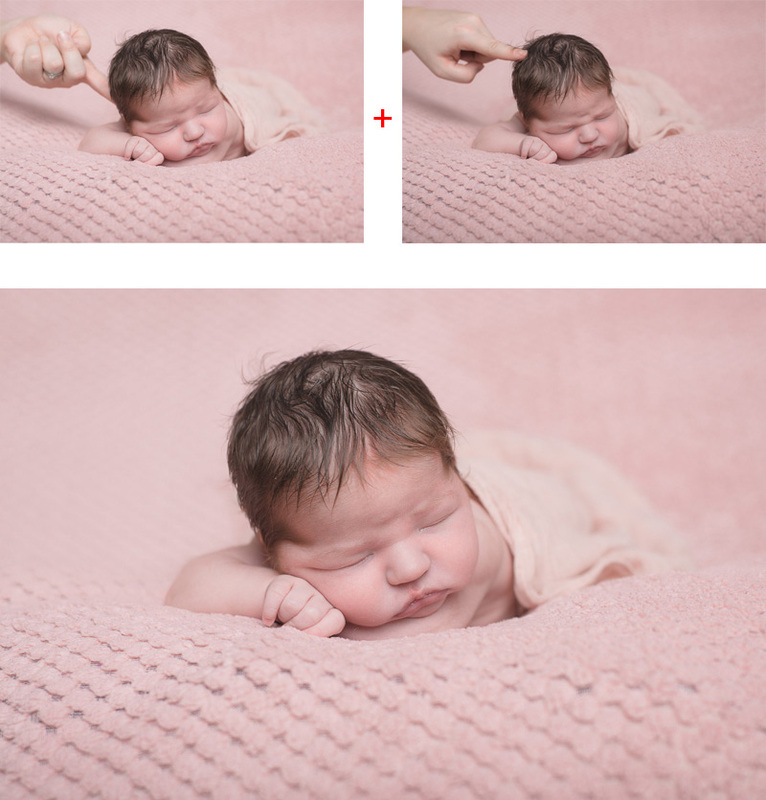 A lot of the poses in newborn photography are actually composites (2+ images combined together) where baby’s pose has to be physically supported into place from different positions and then combined together to remove the supporting fingers. 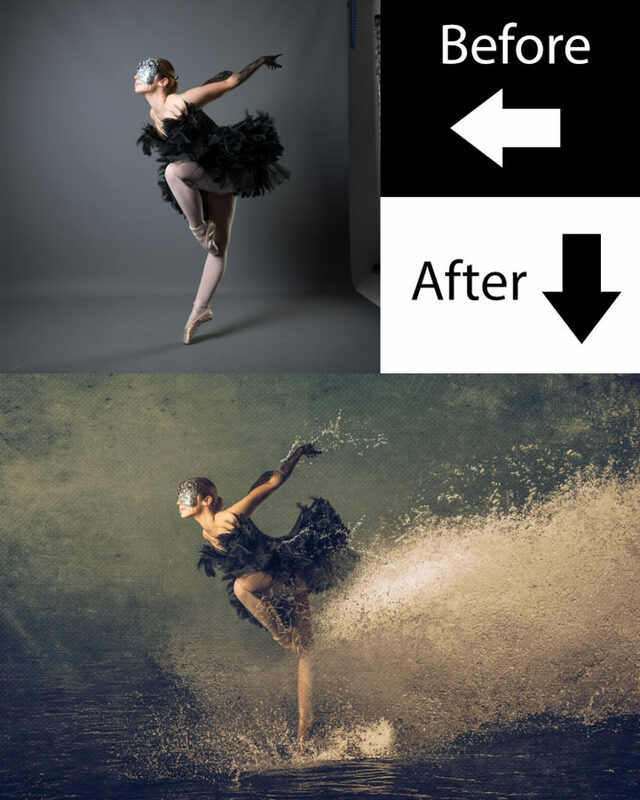 When composites are taken a much higher & creative level we can transform a boring grey background into something fantastical. 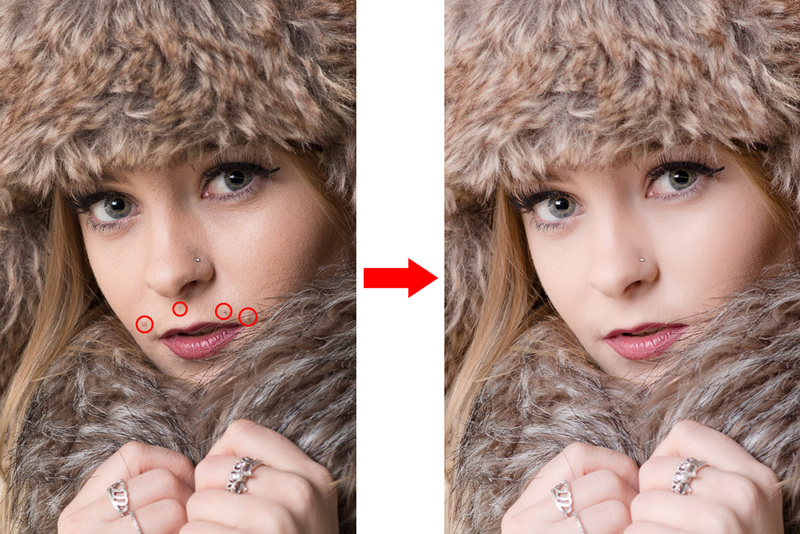 In this shot we’re going to smooth the model skin and remove a couple of moles/spot (partly disguised by makeup). In this shoot, the costume wasn’t tailored for our model so I’m going to warp the corset to give it a tighter fit to enhance our model’s figure, thin her arms, and lengthen her legs. 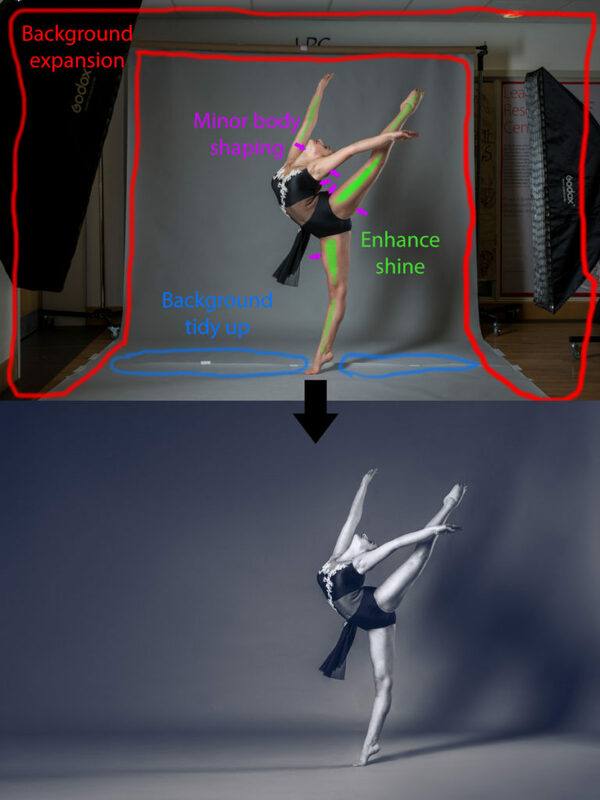 Disclaimer: While all shots will have some level of processing applied, only the very best shots of a shoot will go through the in-depth levels of editing described on this page.